Is your garage getting cramped? Are you tired of bringing dirt and grass clippings into the garage? Maintaining lawns and gardens requires so many tools, accessories and a host of other things that the in-house garage may not be sufficient. The best solution for this is a backyard shed. 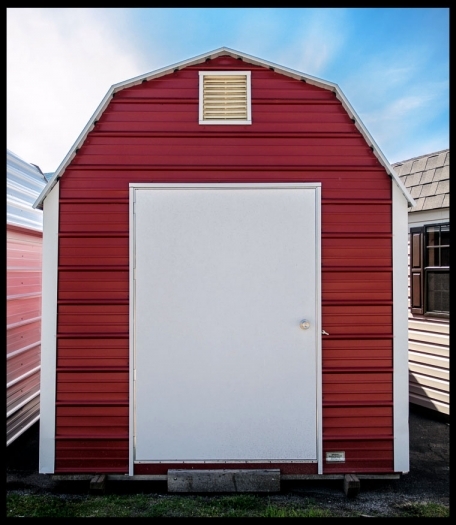 Sheds can range from the very simple to small barns and more. Scroll down to see more examples of what we have on the lot. Is this a shed or a child’s playhouse? Why yes it is. Large storage sheds for serious storage available on the lot! There are many benefits of having a shed. The first is that you can segregate the in-house items from the outdoor items and make sure they do not get mixed up. Things like rakes, mowers, plows and other gardening tools are best stored away from the garage. Besides the tools, the shed is probably the perfect place to store fertilizers, grass seeds and other such organic gardening material. With proper sheds you can ensure that rodents and vermin do not come and destroy them; however, even if they do, they are not in your house – they are outside. Single and double door sheds available. Perhaps you want to keep all the dirt and/or grass clipping and other things from yard work away from your car, boat, bikes or other things you care about. Having a shed to segregate these items works great. You can be assured when you get a shed from Amish Woodwork you are getting a quality product too. We work hard to get you a quality product at a good price. Our sheds will be there for the long haul. We carry sheds to meet just about any look and purpose. Modern sheds come with a host of accessories and interior designs. Since they are storage solutions, the interiors have many shelves and other designs which maximize the space utilization inside. 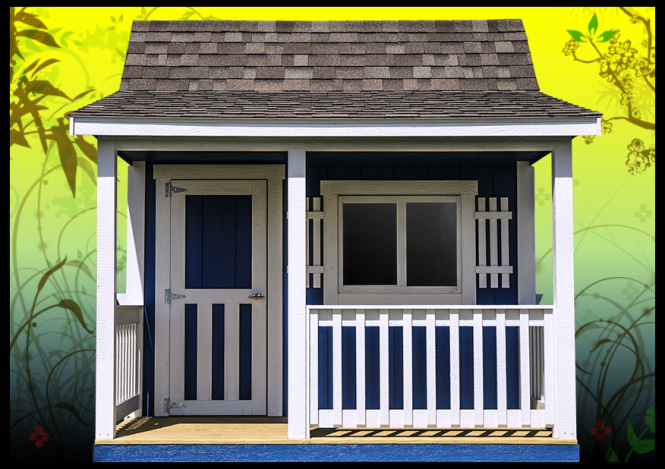 A well designed shed would give you more storage space that you might think. (See our Pinterest page for even more ideas.) This also allows you to stock up some specialty tools and accessories which you may not purchase otherwise due to lack of space. Specials available on repo’d sheds too! All in all, sheds are useful and effective solutions for people who need some additional space. Being outdoor, they isolate the dirty outdoor use items from the rest of the in-house items which can then be stored in the garage. Don’t forget about our affordable Rent-to-Own service that will put your storage in the backyard instead of across town at a storage facility! Even if you are simply looking for more storage space, a shed in the backyard is much more convenient than renting space in a storage facility at the other end of town. 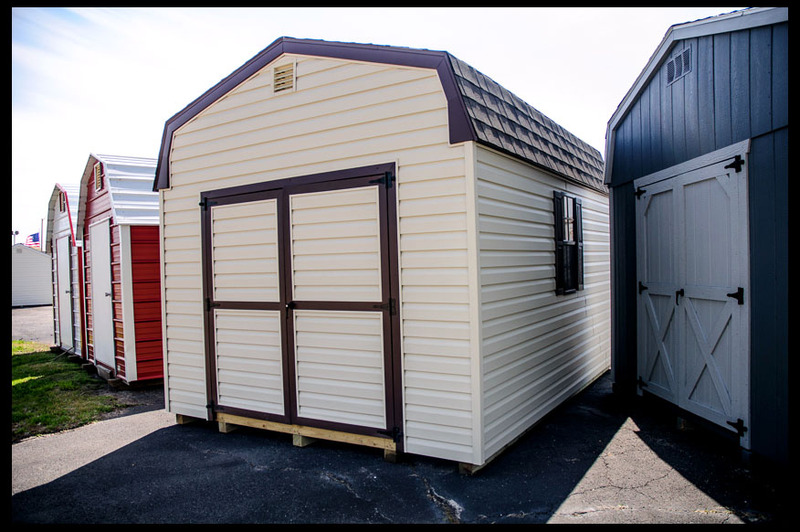 Our rent-to-own options keep the price comparable and at the end of the contract the shed is yours! We will be glad to show you all the options of today’s modern sheds at Amish Woodwork! See you soon!